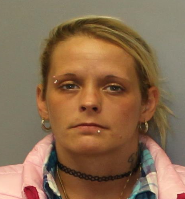 A 31-year-old Seneca Falls woman was charged with Criminal Possession of a Controlled Substance 7th on October 29, 2018 following the report of drugs on the premises of Attica Correctional Facility. According to New York State Troopers, officers were dispatched to the Attica Correctional Facility in the town of Attica, and a K9 Correctional Officer detained Sonya N. Steffanides after locating 2 strips of Suboxone and 2 marijuana cigarettes inside her vehicle. Troopers arrested and processed Steffanides at SP Warsaw. She was later arraigned at the town of Attica court and remanded to Wyoming County Jail.